Thank you for the blog on Yellowstone. It was an easy, interesting read. My family(husband and 3 kids) and I plan on traveling out there in May/June 2008. We are very interested in wolves, and found your blog helpful in letting us know where to go for a peak at the packs. I enjoyed your pictures and wondered what camera you were using. I plan on bringing a 35mm and a digital. What lenses did you use the most??????? Thanks again. Aimee, All pictures on the blog over the past year were taken with a Canon Digital Rebel XTi with a Canon IS 100-400mm Lens. The Rebel has a lens factor of 1.6x making it really a 160-640mm equivelent lens. 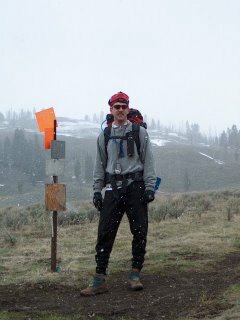 We are going to Yellowstone this May and reading your blog is really getting my psyched for the trip. It will be our first time out there. Hopefully the weather will cooperate.